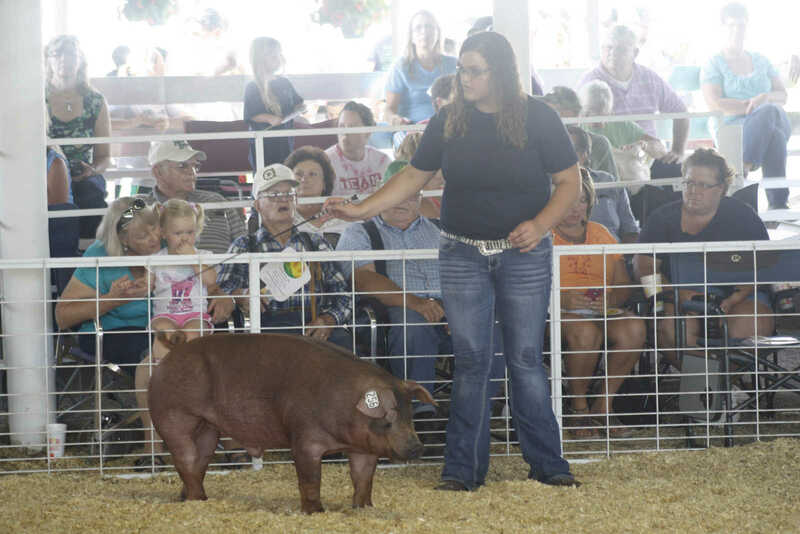 Fair Princes Kiley Gester shows her pig in the pavillion during the swine show. 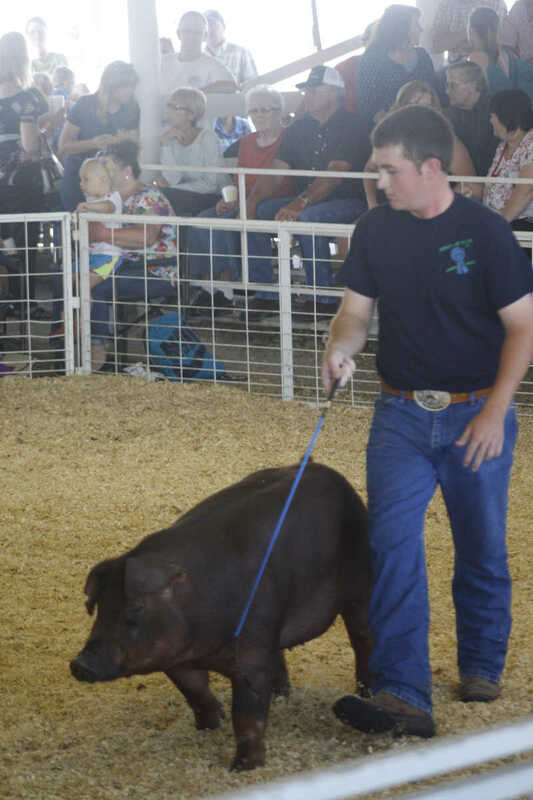 Kale Comstock shows his hog during the swine show. 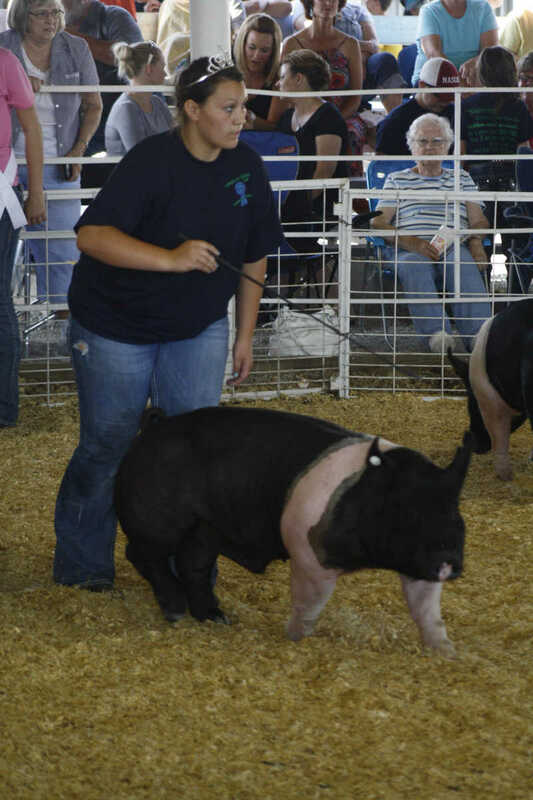 Sarah Byers shows her watches the judge while moving her hog around during the swine show. 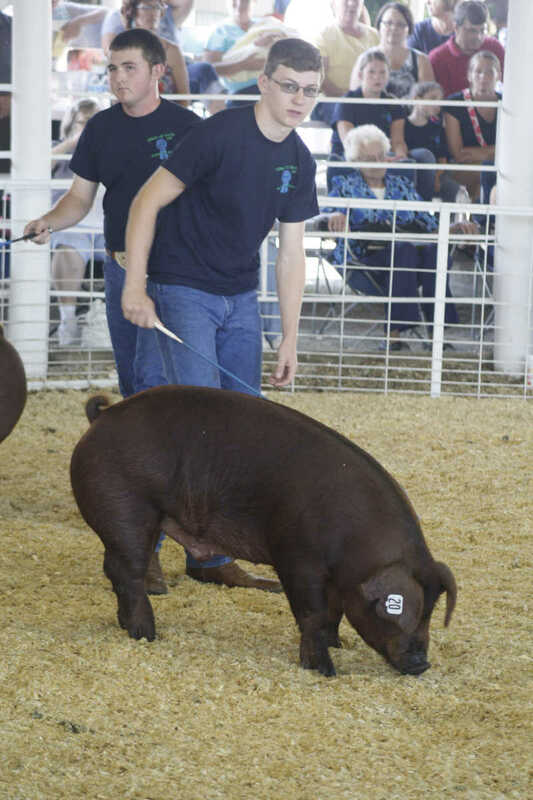 Joe Mader watches the judge during swine show judging and gets his hog moving around the pavillion. 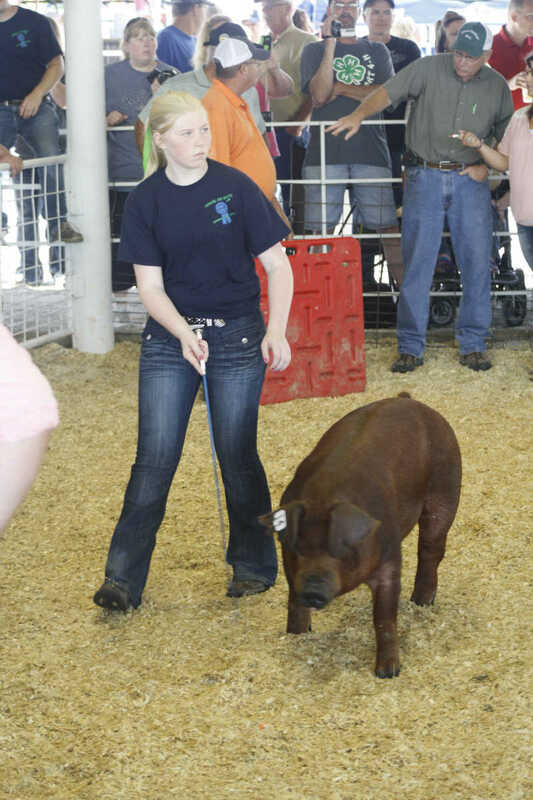 Erin Kistmiller, of Hustlers 4-H, taps her hog to get it moving during the swine show.